Faith runs in the family. Dr. Kara Powell's The Sticky Faith Guide for Your Family is a positive and practical "ideas manual" from the Fuller Youth Institute's Sticky Faith research: a wealth of tested ideas for parents who want to build lasting faith in their children and teenagers. 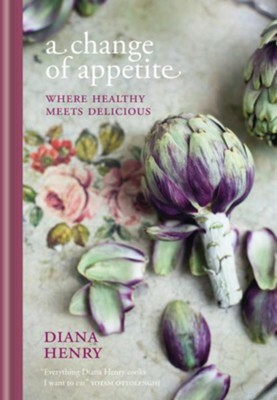 Her book is full of bright ideas, as well as one of the most thoughtful directions ever written by a British chef for an American audience, appended to her recipe for salmon grilled in damp newspaper with dill and cucumber sauce. "Directions to use a broadsheet newspaper are because of size, not the content of the newspaper," she writes. "USA Today is a national newspaper that is the right size. Filled with stunning meals that just happen to be healthier, this cookbook will delight epicures and foodies. I felt the book and I were destined to become true friends. There is a taste here for everyone. Broken down by seasons, the book offers a nice mix of food from around the world. A tome you can eat your way through all year long. I'm the author/artist and I want to review A Change of Appetite.